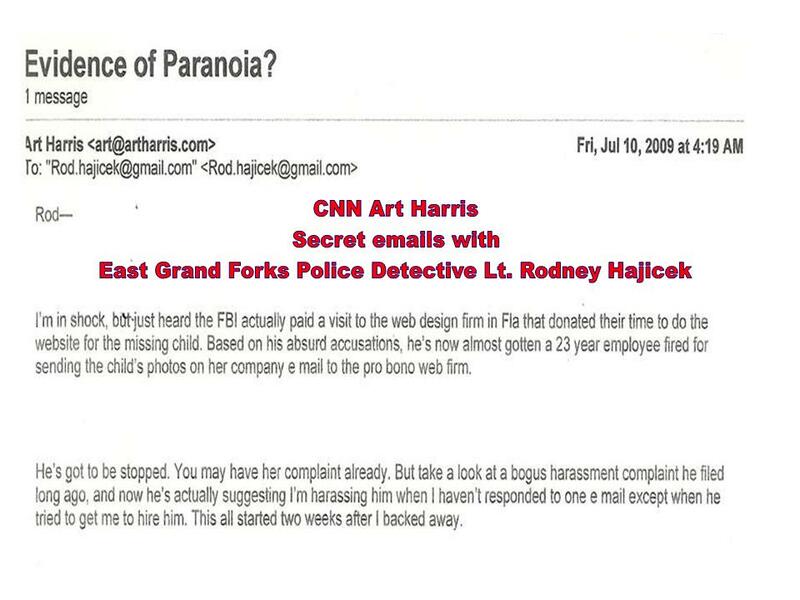 After a guardian ad litem unilaterally diagnosed an investigative journalist as ‘paranoid’ and convinced a Court the man’s young child was in ‘sufficient danger’ under his care; recommending supervised visits; a seasoned psychologist and renowned expert in the field of child protection reported to the Minnesota District Court that no mental health issues are present and no safety concerns exist. The State sponsored lie against Author Timothy Charles Holmseth was shot down by Dr. Madaline Barnes PhD. It was the third successful psychological evaluation/parental capacity examination of Holmseth in five years. As an investigative author, Holmseth has been continuously labeled as ‘crazy’ by a small group of individuals involved in criminal activity, which he uncovered during a journalism project regarding a missing child. The most recent attack on Holmseth was a last ditch effort by Rhonda Callahan, mother of Holmseth’s child, and Matthew Petrovich, guardian ad litem, to drudge something up to use in the Family Court where the two have been making false ‘best interest of the child’ claims to secure a venue against Holmseth. The facts and sheer volume of evidence in the case is now so powerful, that the actions against Holmseth cannot be passed off as innocent oversights or subjective differing in opinions – this was intentional and planned and illegal. Holmseth asserts to the Court in a Motion and Affidavit filed yesterday, he is the victim of an organized scheme between like-minded individuals that included Petrovich, Callahan, and East Grand Forks City Attorney Ronald Galstad. Because the latest psychological evaluation found no mental health issues whatsoever Holmseth’s accusers will now be forced to deal with facts, instead of slanderous innuendo. 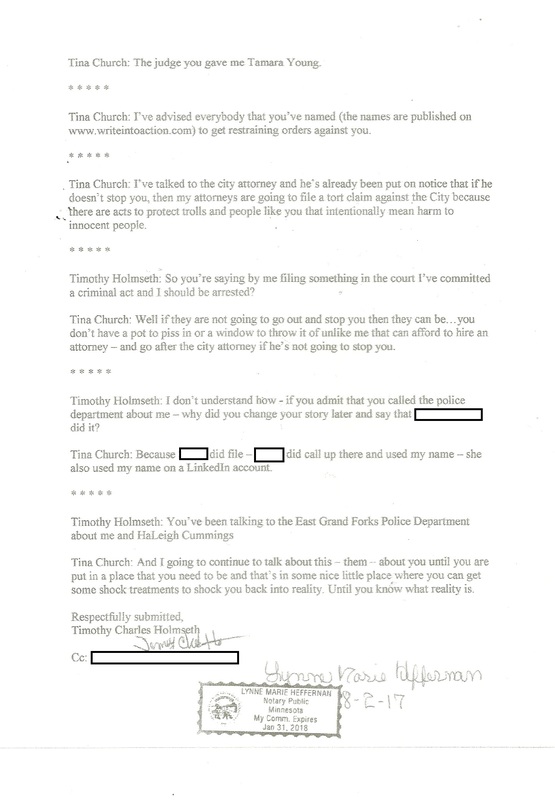 Holmseth possesses a wealth of information regarding the before-mentioned individuals and their associates, which could potentially be career-ending – thus the attack on Holmseth’s credibility via mental bogus health claims (and an attack on his hard-drive which Ronald Galstad and the EGFPD seized; illegally searched; and then ruined so it wouldn’t work). In September, 2013 Callahan filed a Motion in the Family Court claiming Holmseth, the father of their young son, is “delusional.” She supported her claims with exhibits that consisted of articles she printed off Holmseth’s website. 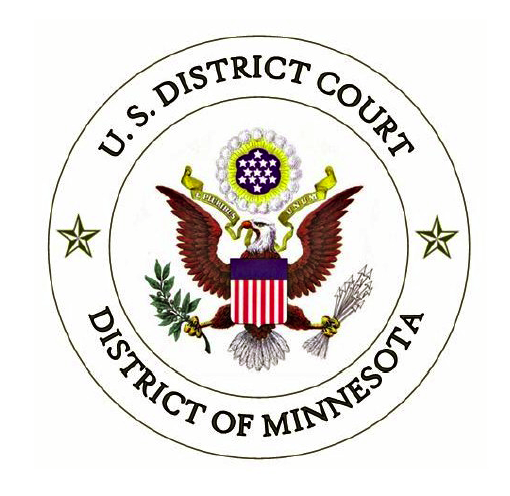 The articles featured and exposed illegal activities of several public officials in the Ninth Minnesota Judicial District and elsewhere. The disturbing practice is called ‘institutional kidnapping’ and is a violation of federal law. Petrovich was so determined to convince the Judge she needed to alter Holmseth’s parenting-time, and require he see a mental health evaluator, that he ridiculed Holmseth in open court by saying he had filed a complaint against everybody except “Kevin Bacon”. 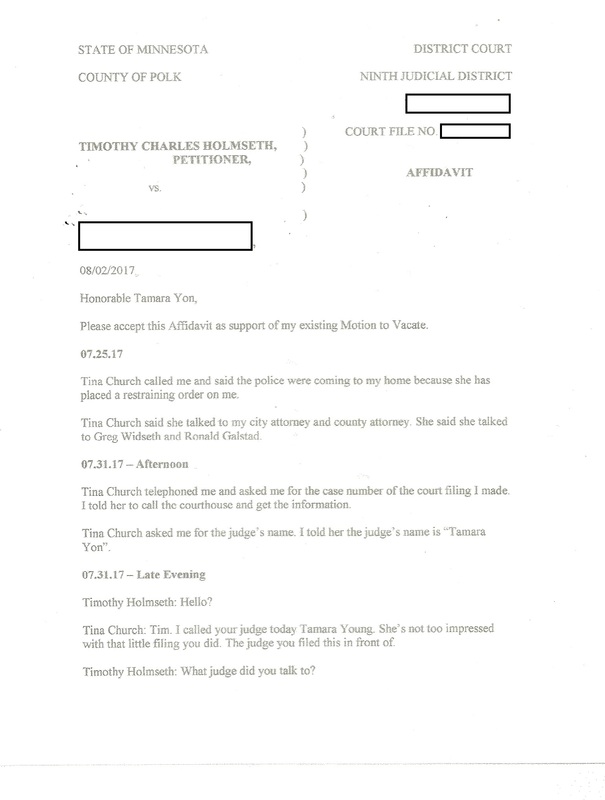 Petrovich’s position to the Court was comprised of an interesting set of themes that invariably orbited around Holmseth’s ‘computer’ ‘complaints’ ‘mental health’ and ‘website’. Holmseth says rogue elements of the State are trying to shut down his tell-all whistleblower site. 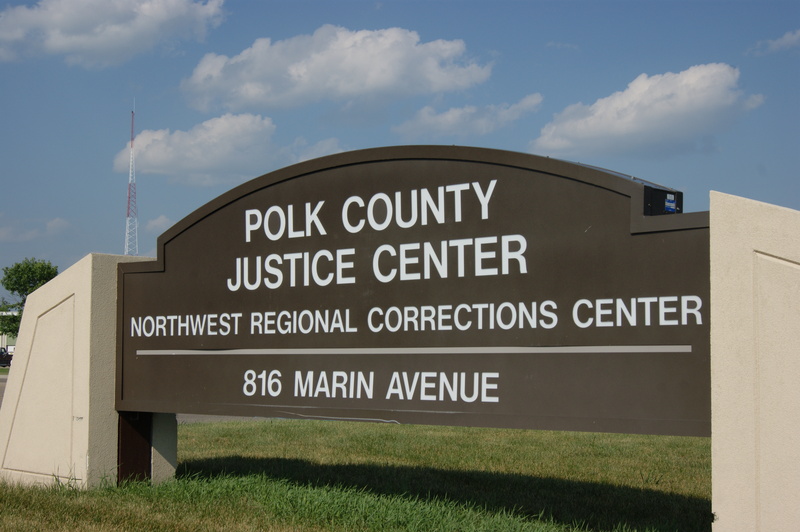 Holmseth has steadfastly asserted Petrovich is using his position as Guardian Ad Litem in efforts to stop Holmseth from making document requests from law enforcement in Polk County, Minnesota. 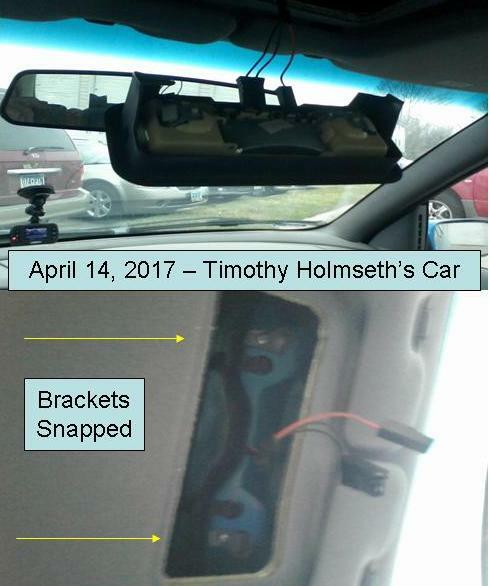 Through the process, Holmseth has successfully located key information that demonstrates local officials have violated a myriad of state and federal laws. The Court found that no “direct” evidence was given to support the claims against Holmseth. However, the Court found that credible evidence was given in the form of testimony by Callahan and Petrovich to warrant a concern of “sufficient danger” and therefore granted the request made for supervised visits pending an evaluation. They both put their professional reputations; and the professional reputations of everyone they associate with on the line to get what they wanted. But the sum and substance of the findings of Dr. Madaline Barnes PhD have effectively reduced the entire bogus case they concocted against Holmseth to little more than pure fiction. In one instance, it appears Barnes is questioning why she was asked to evaluate Holmseth again. “The records of his supervised visits reflect that he continues to have the same positive relationship with his son that I observed previously, and showed no inappropriate interactions [in the log generated by the facilitator] during those visits,” she said. To effectively address all of the professed claims made by Callahan and Petrovich about Holmseth, the Judge directed [Dr. Barnes] have access to his website, writings, and the book he authored about the missing child HaLeigh Ann-Maries Cummings. No condemnation of Holmseth’s writing, reporting, or publishing was found whatsoever. In an interesting moment of candor during the examination, Barnes told Holmseth she basically believed what he was saying about the police. Barnes recommended Holmseth resume parenting-time with his son.